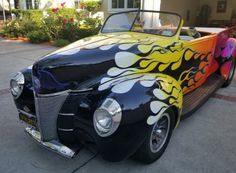 1937 Ford Custom Convertible. Peretto Brothers 1951 Oakland Roadster Show winner!. This is the REAL DEAL!!! I watched the 1978 movie \'Grease\' recently, and didn\'t see this car as one of the movie cars. Thus I believe the film\'s production company, etc. borrowed and used this car as a prop to advertise the movie \'Grease\' when it came out. Car was built in S. Calif. (Alameda) in 1950. Original, time capsule condition. Trophy winner at the 1951 Oakland Roadster Show, and 1952 Oakland International Sports Car Show. I was able to acquire both trophies from the widow of one of the cars builders just last year! They were still sitting on his workbench. I just spent $1,700 on mechanics. Starts, shifts, drives wonderful. Oakland Roadster Show winners from the 1950s are extremely rare, especially in original condition. This cars front end was modified in the mid to late 1950s,with the current grill, that gives the car a sports car, European look. Kinda looks like a 1950s Alfa Romero! (the original grill also comes with the car) The car also has its original folding top mechanism under the metal tonneau cover behind the seat. 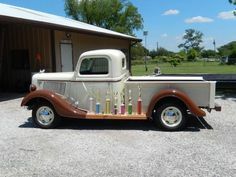 This car is eligible to show at any rod show, and many concourses around the country have a historic rod category as well. It would be a great edition to any European show, rod race, etc., all the mechanical work on it, research, etc. It draws a crowd whenever it is shown. 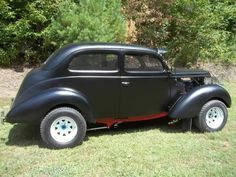 Original vintage rods with show history from the 1950s are very much in demand to be seen, and owned, by the people across the country. They are superb long term investments.